It has been a slow descent into the world of coffee for me over these past few years. My sister-in-law, Nicole, will tease me about the “coffee milk”, I used to drink when she first met me, as I drink down a huge cup of the lovely stuff on her living room couch. It was indeed just coffee and milk that I used to drink, the sweetness of the raw milk blending with just a dash of coffee in a mason jar mug. 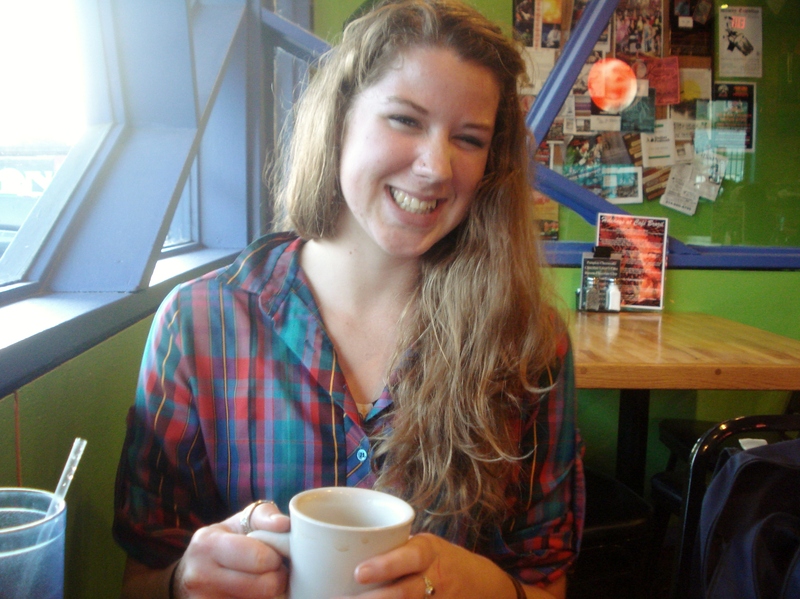 And so, it was a no-brainer when I came to college: I was determined to get a job at the coffee shop on campus. 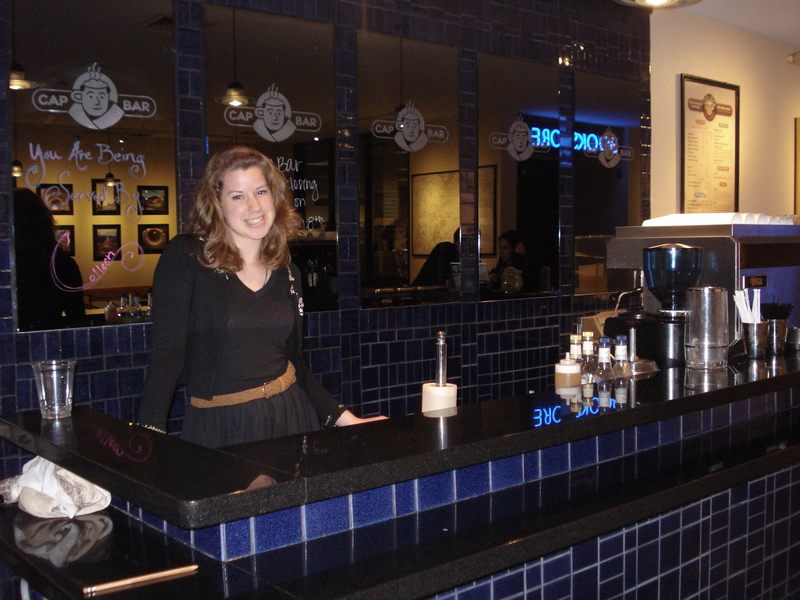 I have been working at the Cappuccino Bar, or “Capp Bar” as most people fondly call it, for almost two years now, and I absolutely love it. Sometimes I feel that the smell of espresso has been soaked into my skin, under the fingernails and lingering on my palms. One of my favorite parts of the job is creating new drinks. 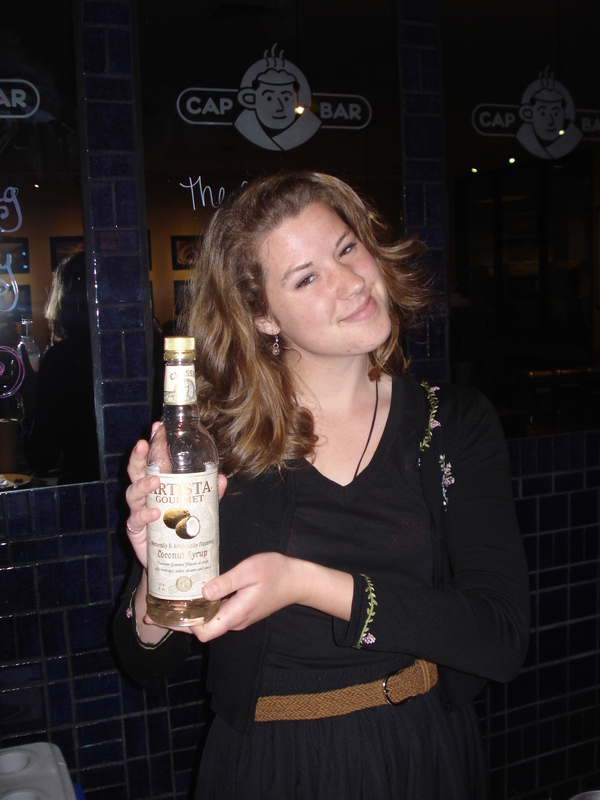 Everyone at the Capp Bar is encouraged to experiment, make some unique, make something your own. I have created a few drinks over the past two years, but recently I may have struck gold with the dawn of what a co-worker and I call the “On Wisconsin”. My co-worker, Christian, is also from Wisconsin, and one day, as we were ruminating on the glories and downfalls of the state, a friend suggested that we make an official drink for Wisconsin. We gladly accepted the challenge. After much discussion, we agreed that the drink had to incorporate these two things: lots and lots of dairy and something German. Those are the two trademarks of Wisconsin, right? The fact that everyone and their grandma is at least a quarter German and probably drinks and eats a startling amount of dairy products. 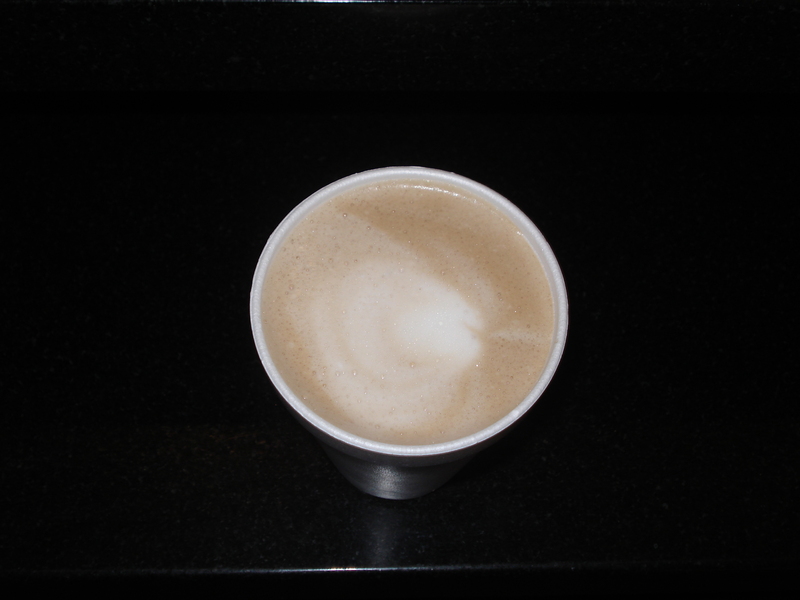 Thus, the “On Wisconsin” was born, a milky, German chocolate mocha cappuccino. And it’s dang good, if you ask me. paired with a pump of chocolate and a shot of espresso, and finally drowned in the creamy goodness of steamed whole milk. And voila! As the snow falls gently and deep in Wisconsin, I am under the clouds of Dallas today, threatening a thunderstorm with temperatures in the 70s. Perhaps I’m not so far from home, though, as I serve up “On Wisconsins” to these unenlightened Texans, bringing a little bit of comfort to my Mid-western soul. 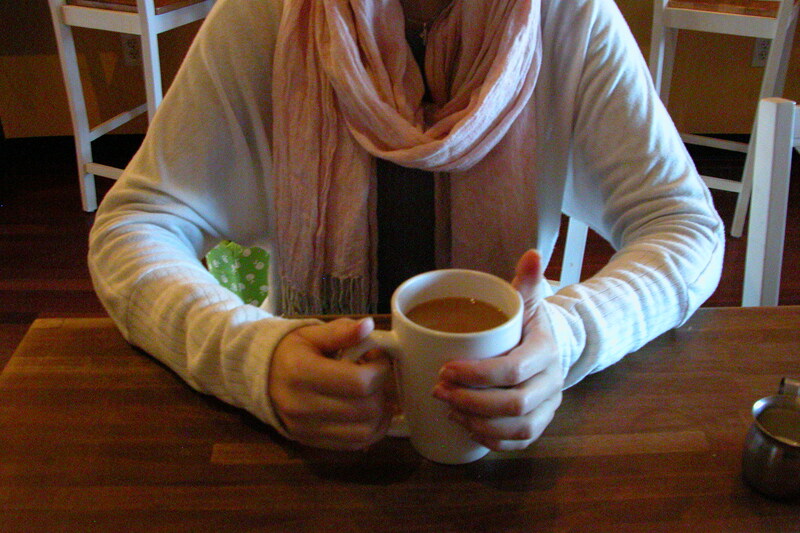 This entry was posted in Colleen and tagged Coffee, College, Home, Wisconsin, work on March 8, 2013 by sweetridgesisters. I just looked up from a paper I’ve been writing (Chaucer, anyone?) to find on facebook Mary’s latest post. “Of course!” I thought, “I should do a blog post!” The moment of inspiration always strikes at the least opportune homework moment for me it seems. Ah, well, that’s just how it goes. A few weeks ago, I escaped the UD bubble with my amazing (ly short and awesome) friend, Selena. A city warrior at heart, she is always looking for opportunities to get off campus, and now that the university has a light rail station right across the road, she can and does. And sometimes she’s even able to drag my crumudgeony self away with her. And then I get over being grumpy and being scared of public transportation (because of course the 5’10” girl is more afraid of it than the 4’11” one…) and enjoy myself immensely. Our destination? 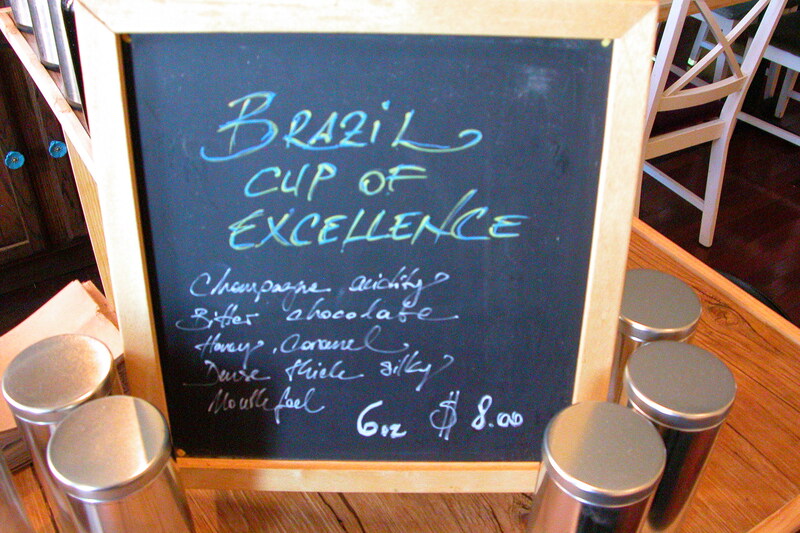 Cafe Brazil in Deep Ellum, Dallas. 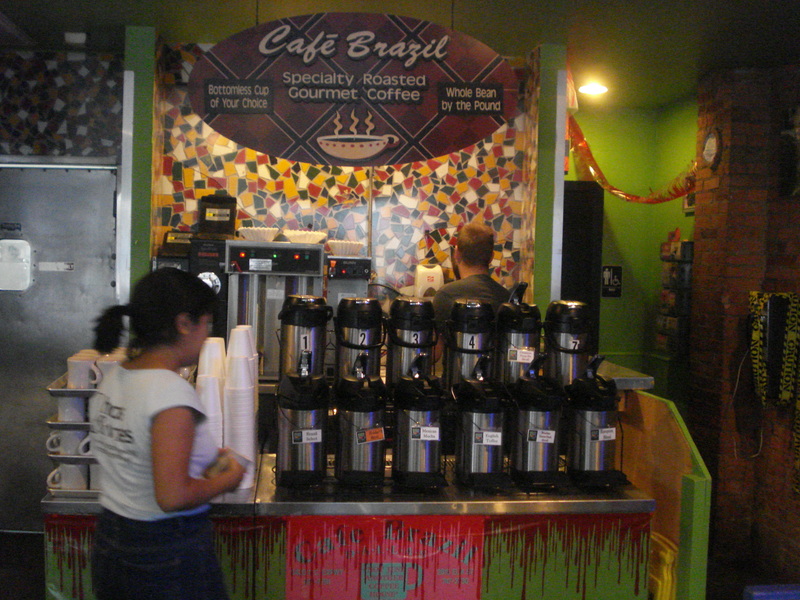 I was first attracted to Cafe Brazil for the Bottomless Coffee Bar. You pay somewhere around $3 for all the coffee you can drink, and as a barista at the cappuccino bar on campus, I never pass up a good (and cheap) cup of coffee. I also happen to be impervious to caffeine, so I can down 3 or 4 cups in an hour and not feel a thing but warm satisfactions and enjoyment of the lovely liquid. And, as a Slattery, I never pause to take advantage of a good deal. I was out to get my money’s worth! 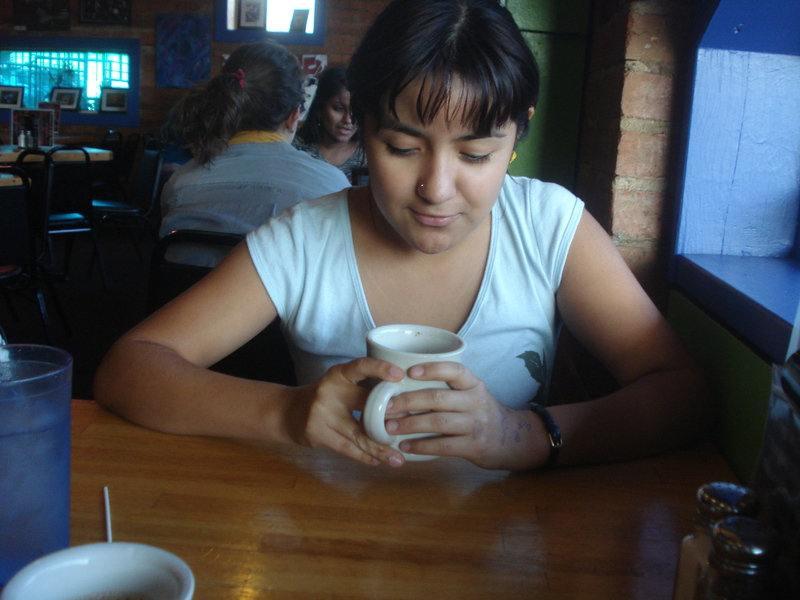 Selena was not quite so cavalier in her coffee drinking.work done. Although our reasoning for going to Cafe Brazil was studying, we decided to eat first (thus happily postponing getting anything done). 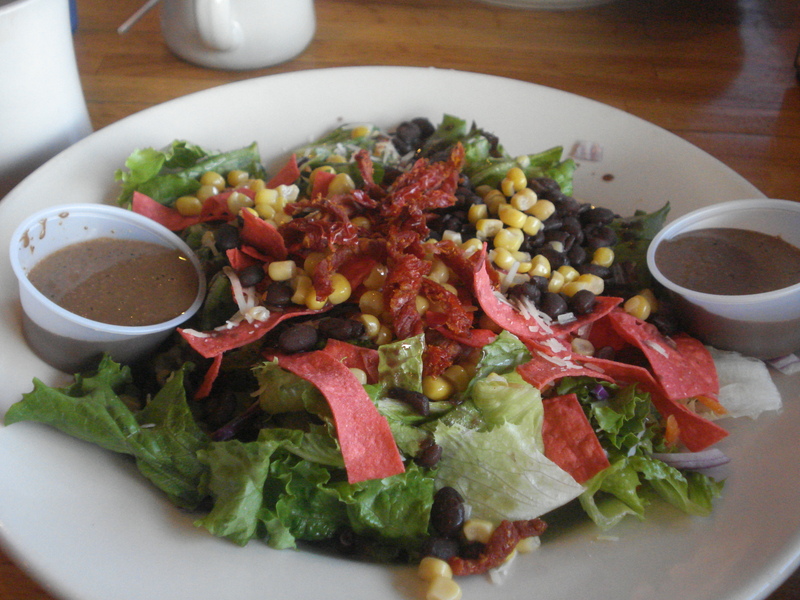 I ordered the Amazon salad and was quite impressed. The food was hearty, the coffee was hot, and the conversation was lovely. 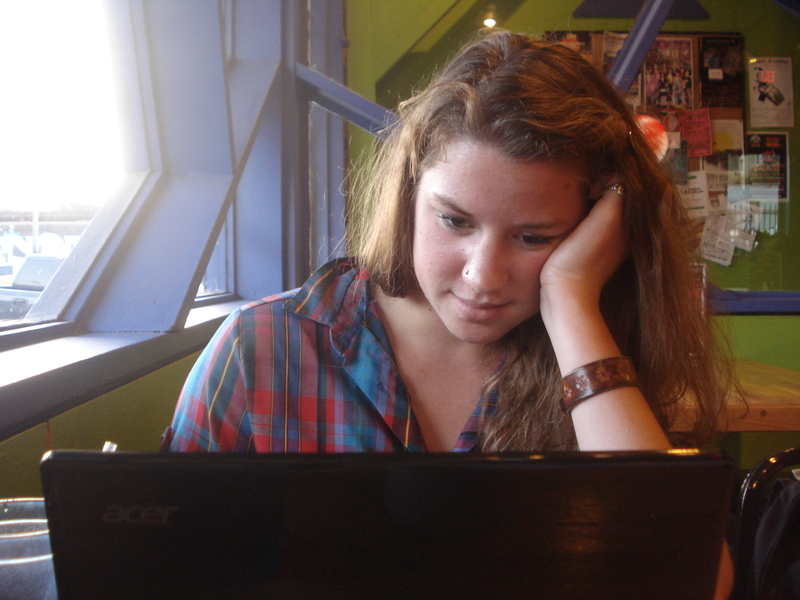 After awhile, Selena and I actually broke out the books and laptops and got down to business. Luckily, this lasted all of two minutes. Selena always knows how to make me laugh. To coffee, friendship, and liberation from homework! Have a wonderful Wednesday, everyone Happy Halloween! 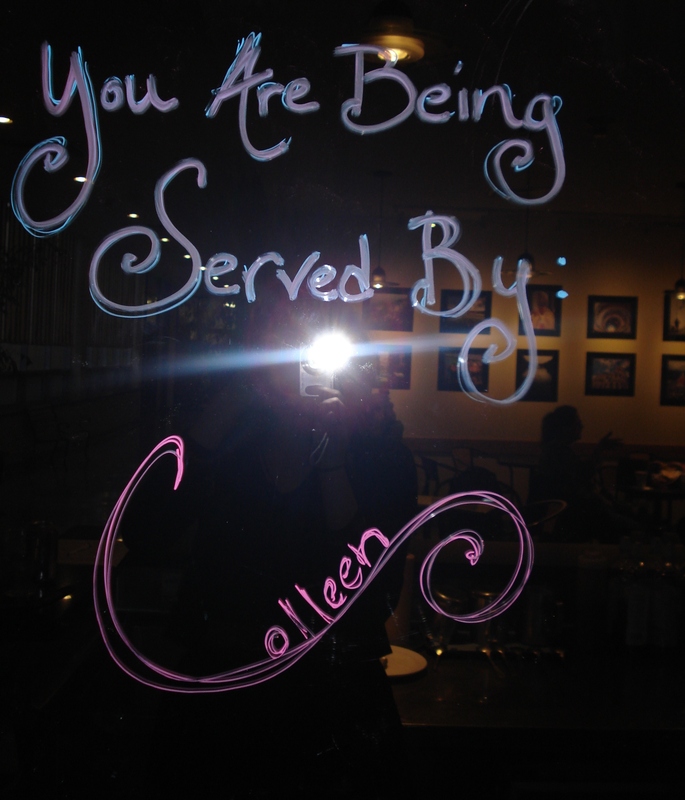 This entry was posted in Colleen and tagged Cafe Brazil, Coffee, College life, Friendship on October 31, 2012 by sweetridgesisters. There are benefits to setting out on foot to pound the pavement hanging posters all over town. I have been flyering for rock shows and Shakespearean productions and dance performances and bellydance classes for years now, and have come to love the work. It’s a great way to learn a neighborhood, and to discover where to find everything from an amazing bookshop to a great cup of coffee. Yesterday I was hanging flyers for the grand Gala Bellydance Show featuring Sherena happening Saturday here in Pittsburgh. It is going to be a great show, and if you are in the area you should come. Live band, great dancing, Turkish food available for purchase, beautiful space, family friendly, kids under 12 get in free. 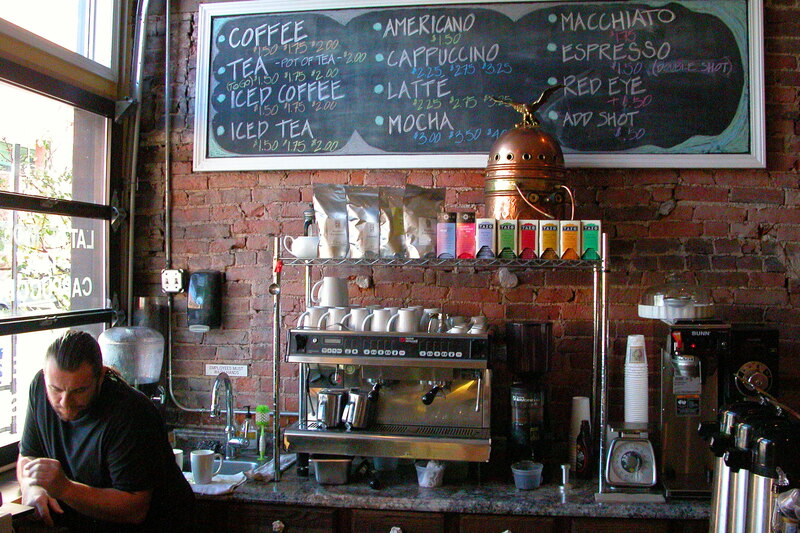 In the course of my ceaseless promotions, I stopped to hang a flyer at the Caffe Mona. 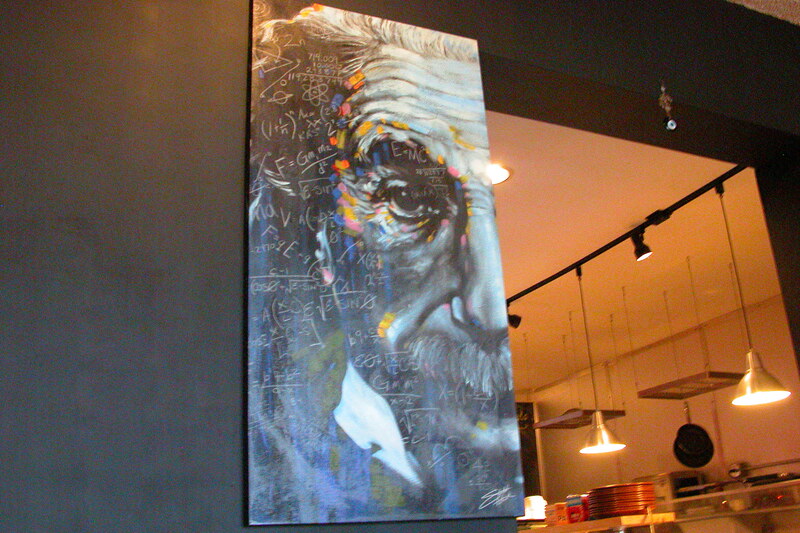 The Caffe Mona is located just across the street from the gargantuan and internationally renowned Children’s Hospital of Pittsburgh. 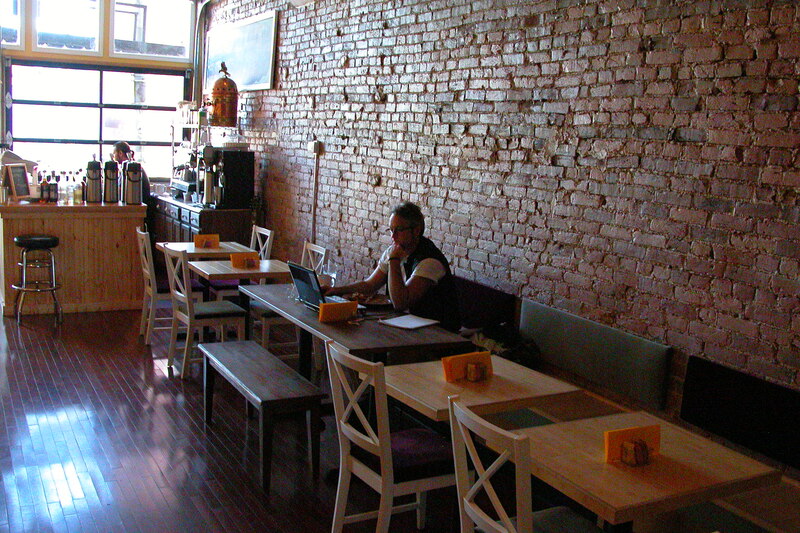 As coffeeshops often do, it has recently undergone a change of ownership. By all accounts, the former owner was a bit… aggressively friendly, particularly with female customers. Perhaps as a result, the new owner is distinctively courteous and respectful. He is also Turkish, which means I heavily encouraged him to attend the upcoming bellydance show, and also that the menu at Caffe Mona is extremely enticing. The Caffe does catering as well as a full line of breakfast including sweet and savory seasonal crepes of all sorts and salads and sandwiches for lunch and dinner. My flyering companion had a pumpkin stuffed crepe, and I was torn between the Caprese Bagel or a Steak Omelet. I had the Omelet, but I’ll definitely head back for the bagel. The coffee is very good. And the general atmosphere is warm, welcoming, and calm. I imagine that it would be a welcome respite for the staff and visitors at the UPMC Children’s Hospital across the street. It was also a great place to have breakfast with a friend and a wiggling, ululating toddler. Meaning that perhaps during our stay there it wasn’t as great a spot as usual to get some work done in a contemplative manner. 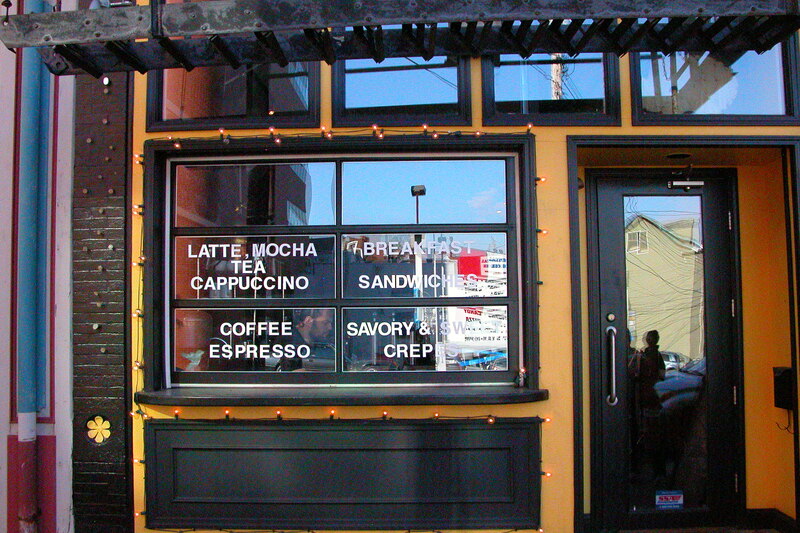 If you’re near the Children’s Hospital or looking for a new coffeshop or lunch experience in Bloomfield or Lawrenceville any time soon, check out the Caffe Mona. And now, if you’ll excuse me, I’m off. I have some flyers to hang. 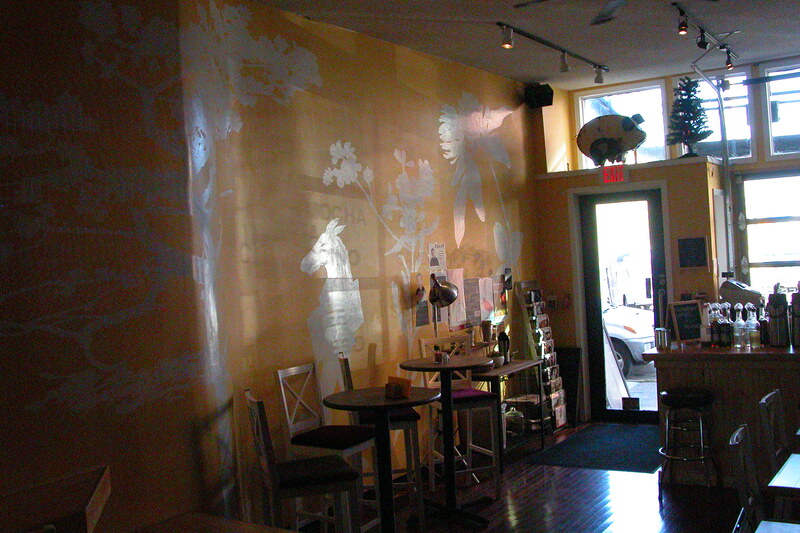 This entry was posted in Kate and tagged Art, Coffee, Dance, Pittsburgh, Urban on November 2, 2011 by sweetridgesisters.